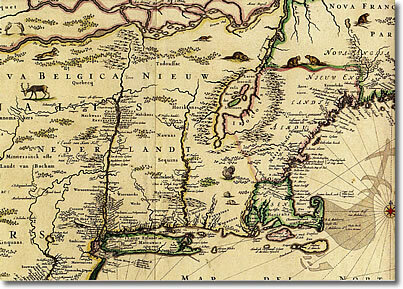 The library preserves the largest single collection of printed source materials relating to the history, literature, and culture of the first 250 years of the United States. 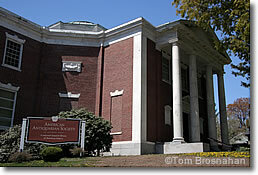 The American Antiquarian Society research library, a few blocks from the Worcester Art Museum, (map), has American printed materials dating from 1640 through 1876. Mostly, it's used by scholars and researchers, but anyone with an interest in history can be thrilled by seeing the many documents that played a part in American history. Contact the Society to plan your visit, and to obtain permission to access the documents you want to see.